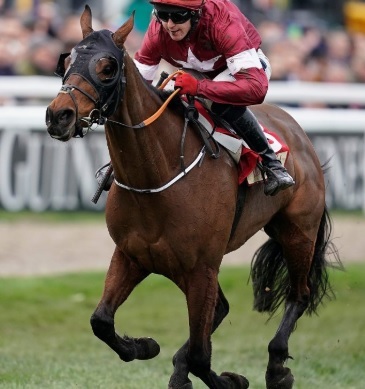 Grand National 2019 Betting: The money continues to flow in for Tiger Roll to win the 2019 Grand National, with the Gordon Elliott trained horse now as short as just 7/2 to win the Grand National for a second successive year. Bookmakers are predicting that a win for Tiger Roll would give them their worst result in the history of the race. Already this week, he has been backed in from 11/2 on Wednesday, to 7/2 on Friday morning. 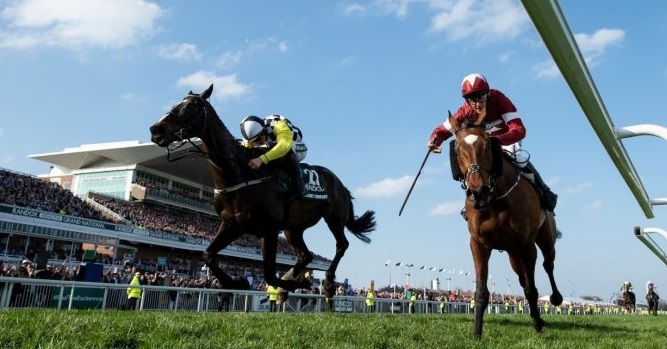 What seems to have increased the number of bets on Tiger Roll is his official ratings rise of 8lbs, in the wake of his easy Cross Country win at the Cheltenham Festival. A rise in rating that will have no effect on the weight he is carrying in the National, as the weights were set before Cheltenham. This now means Tiger Roll is basically carrying 8lbs less than he should be, which has seen even more money coming in. If Tiger Roll manages to pull of the unbelievable and retain the Grand National crown, he will become the first horse since the great Red Rum to achieve that feat in 1973, and 1974. The 2019 Grand National is the showpiece event of the National Hunt horse racing season. The race is being held on Saturday 6th April, at 5.15pm. It is live on ITV1. Sponsored by Randox Health, the race is a handicap steeplchase. The race distance is just over 4 miles, and consists of two laps, 30 fences, of the famous Aintree Racecourse, in Liverpool. The standard each way terms on the Grand National is first 4 places at quarter of the odds. These days there are always bookmakers enhancing this offer, and this year it is no different. Our information pages below will give you all the details you need, ensuring you don’t miss out on the best value when it comes to betting on the Grand National….. Already we have bookmakers offering 5 each way places on the race. Closer to the day, I expect it will be possible to get 6 each way places. What Are The 4 Cheltenham Championship Races? What Time Does 2019 Grand National Start At?